Fort Collins Utilities transitioned to Time-of-Day (TOD) residential electric pricing in October 2018, except for accounts with manually read electric meters due to a vendor equipment delay. Homes that have electric meters read through non-standard processes (e.g., low-data resolution or manual read options) are not compatible with TOD pricing and need to be replaced with new, non-transmitting meters. Throughout 2018, Utilities sent various letters to impacted residents regarding the replacement needs, meter reading options and vendor delay. We are currently testing equipment and processes to accommodate the remaining meter replacements. If you have already requested an appointment, Utilities will contact you to schedule the replacement of the current meter with a new, non-transmitting meter that will be compatible with TOD pricing; otherwise, the meters will be exchanged based on personnel availability. More information will be available in the coming weeks. Until the current meter is replaced, the account will remain on the tiered electric rate structure. Once replaced, the account will be transitioned to TOD pricing, which will be reflected on your utility bill within the next one or two billing cycles, approximately 30-60 days after the meter is exchanged. Auto-Read (previously referred to as Option 1): Electric meters automatically read and send interval data for billing to Utilities. This is the standard process and does not require an additional fee. If you prefer this option, please call 970-212-2900. 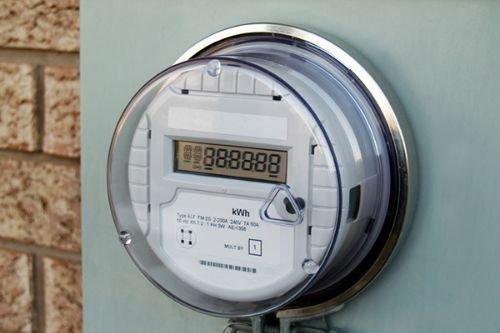 Manual-Read (previously referred to as Option 3): Non-transmitting electric meters collect interval data and are read manually by Utilities meter readers. This option must be approved by the property owner and requires an $11 monthly fee. This fee is subject to change and is scheduled for review in 2019. Meter replacements will involve an outage of several minutes, and crews will leave notification upon completion. Why do I have to have my meter replaced? Existing Manual-Read meters (previously referred to as Option 3) are read by Utilities meter readers once per month to obtain the total amount of energy consumed during the billing period. In order to bill customers on the current Time-of-Day (TOD) rate, Utilities also needs to know when that energy was consumed. New meters are programmed to record energy consumption at a higher data resolution for billing. At what data resolution will the meter measure and record? Energy use will be recorded in 15-minute intervals. Electric meters have always continuously measured energy consumption. How do I know the meter will not transmit wirelessly? Any device that communicates via radio frequency (RF) must have a Federal Communications Commission FCCID number. The manually read meter does not have a radio; therefore, does not have any wireless communicating capabilities or an FCCID number. See images in 'How do I know if I have an advanced meter?' to learn more. Why wasn't the meter exchanged previously as the letter stated? The electric meters that were ordered for the implementation of Time-of-Day (TOD) pricing for customers who have manually-read meters did not arrive in time due to a vendor delay. We are currently testing equipment and processes to accommodate the remaining meter replacements. When will the electric meter be exchanged? Utilities has received the needed equipment and plans to replace all manually read meters in the coming months. More information on the timeline will be available soon. How do I know when the meter will be exchanged? If you contacted Utilities prior to the August 17, 2018, deadline (as was provided in previous outreach), Light & Power personnel will contact you before the exchange to schedule an appointment. If you wish to schedule your replacement, you may still do so by calling 970-212-2900. Can I still schedule the meter replacement at my residence? Yes. If you wish to schedule your meter replacement, please call 970-212-2900. Will I still be transitioned to Time-of-Day (TOD) electric pricing? Yes. However, until the current meter is replaced, your account will remain on the tiered electric rate structure. Once replaced, your account will be transitioned to TOD pricing, which will be reflected on your utility bill within the next one or two billing cycles, approximately 30-60 days after the meter is exchanged. Learn more about TOD.